When will we become a rich nation? The Kuala Lumpur skyline. Whether we become rich in material wealth is not so important as we becoming rich in our values. SOME 28 years ago, Prime Minister Tun Dr Mahathir Mohamad set a vision for the nation. 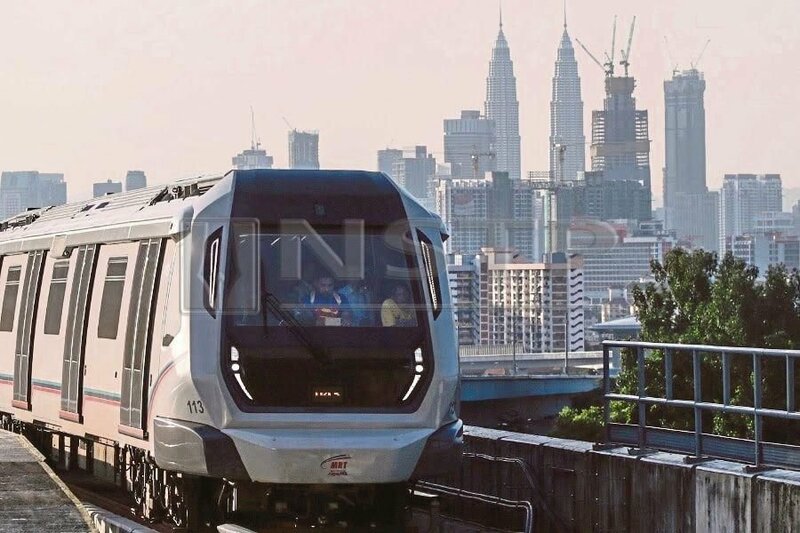 Dubbed Vision 2020, it envisages Malaysia as a developed nation by 2020. The previous prime minister, Datuk Seri Najib Razak, clothed it further. We shall be a rich nation when we attain a per capita income of US$15,000 (RM62,000). When this target was announced in 2010, the per capita income was slightly above US$9,000. Today it is around US$11,500. That is a 23 per cent deficit from the US$15,000. The good doctor does invoke the many pillars of his original enunciation of Vision 2020, namely, equality of opportunity, racial integration, religious freedom, and inclusive growth. However, the new government has not announced its adoption of the US$15,000 target in the same manner as its commitment to the 2.8 per cent budget deficit. The target of US$15,000 is indeed an ambitious one. It is in line with what a vision should be. In their 1994 book, Built to Last: Successful Habits of Visionary Companies, Jim Collins and Jerry Porras argue that a vision should be concrete and vivid with a clear finish line. It must be so big and audacious that it spurs forward momentum towards the shared future. Although requiring extraordinary effort from stakeholders, the vision may only have a 70 per cent chance of success. Way back in 1990, Dr Mahathir had visualised well the nation’s future. We now need to push ahead, even beyond 2020, to realise our ideal of a rich and inclusive nation. Douglas North, a Harvard economist and Nobel Laureate, wrote in his seminal 1990 work Institutions, Institutional Change and Economic Performance that good institutions are central to propelling economic performance. Subsequently, Aaron Acemoglu and James Daron expanded North’s work in their 2012 tome ,Why Nations Fail: The Origins of Power, Prosperity, and Poverty. Therein they argue that the key to prosperity is inclusive and corruption-free institutions that empower citizens in their pursuit of a meaningful life. It is enlightening to know that the government is committed to revitalising our institutions. Good governance, rule of law, and a firm belief in personal freedom and responsibility will buttress this reinvigoration. It is also building an honest and capable government to spur economic growth. Such a government should put our nation on the fast track to becoming a rich nation as, to become rich, we need to grow on a sustained basis. After four decades of sustained growth, China became an upper middle-income country that has almost obliterated extreme poverty. Similarly, South Korea and Taiwan grew over two decades in a sustained manner to lift themselves out of the middle-income trap. To hit a rich-country status, the National Transformation Programme estimated a target growth of at least six per cent annually. However, our rosy growth trajectory became unhinged after the 2008 global financial crisis. Since then we have not been able to register the targeted growth rate. Most of the advanced nations became rich through massive government spending in physical infrastructure. These expenditures not only inflated the economy, they also offered a sound ecosystem for businesses to enhance their competitiveness. The government could pump more money into the economy. Alas, that is not possible with a massive RM1-trillion debt overhang. But we can take advantage of Industry 4.0. Industry 4.0 comprises, among others, artificial intelligence, robotics and Internet-of-things. Just as the industrial revolution catapulted the United Kingdom, Europe and the United States into the rich-country league, Industry 4.0 can do the same for us. We have profited from the benefits of the industrial revolution and Industry 2.0 — an era characterised by electrification and mass production. Technologies such as those embodied in Industry 4.0 will offer us an array of business models, such as that of Grab and Airbnb. They will allow us to launch new products or services, raise productivity and competitiveness. All of these will surely enhance national prosperity. Skilled labour will command superior wages. These should contribute to higher per capita incomes. In its 2017 Report on Industry 4.0, the UN Industrial Development Organisation, or UNIDO, contends that advanced developing countries can vastly boost their prosperity by embracing Industry 4.0. But per capita income is not all there is to wellbeing. Whether we become rich in material wealth or not is not so important as we becoming rich in our values. We have a great asset in our ethnic diversity. The melange conflates into the shared values of the nation — tolerance, respect, compassion, obedience to authority and rule of law. Is woman, 115, oldest in nation?